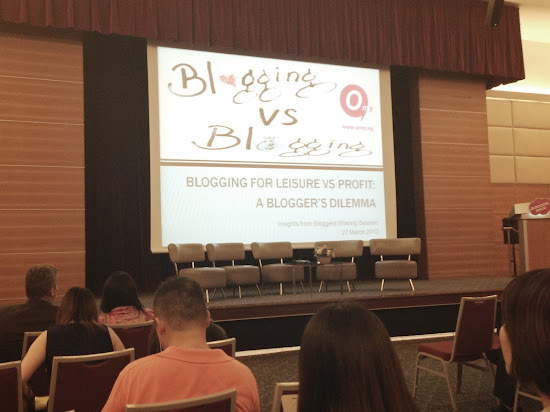 I was invited by CF to join her for a omy.sg blogger sharing session, Blogging for Leisure VS Profit: A Blogger's Dilemma, at SPH Auditorium. Four bloggers, panelists for the upcoming Singapore Blog Awards 2013 in July, shared with us their views and experiences on blogging. They shared their initial reasons of starting up their blogs, and for some, how their blogs progressed to a source of earning money. One topic was on integrity. Whatever blog entry you post, paid or not, the authenticity of what you share online, has to be a personal experience and true. 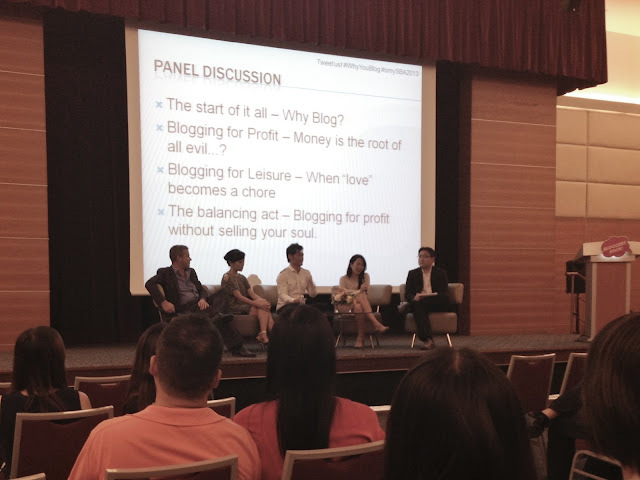 After listening to what they shared with us, I had got a different perspective to bloggers and blogger. 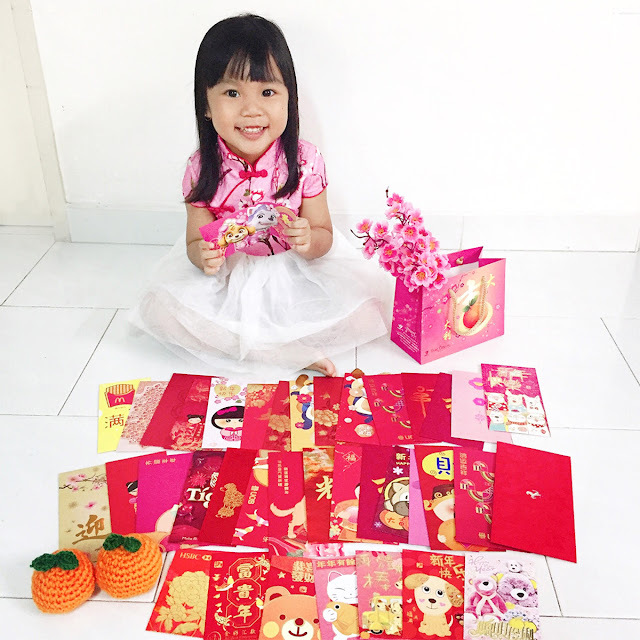 For this blog, I'm blogging mainly as a diary, with photos, feelings, feedback and dates, to keep "track" of what I did, so as to reference back in future.